December 6th, 2013 - A Texas firm has sued Westchester Fire Insurance Co. in a bid to collect a surety bond payment on work it performed on an Air Force installation in Oklahoma. Johnson Roofing Inc., of Waco, Texas, brought suit against the ACE Group unit and co-defendants Pacific Tech Construction Inc. and Federal Insurance Co. The lawsuit arose from a construction project at the sprawling Tinker Air Force Base on the outskirts of Oklahoma City. The prime contractor on the job, which was to repair a warehouse roof at the base, was let to Sauer Inc. (which is not a defendant). Sauer hired Pacific Tech to perform a portion of the contract. 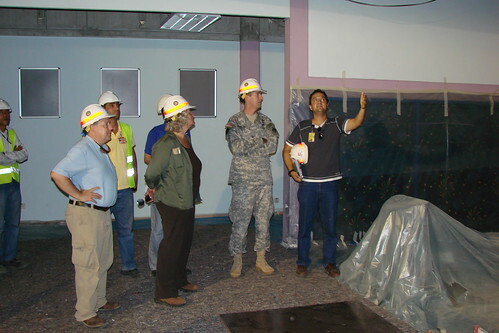 On December 1st, 2011, Pacific Tech sub-contracted with Johnson to install roof and deck insulation, among other things. Surety bonds on the project were issued by Federal Insurance and Westchester. Johnson and Pacific Tech both worked on the building, with Johnson installing roof and deck insulation, certain flashing and sheet metal components and built-up asphalt roofing. It made its improvements on top of an underlying support system that had been installed by Pacific Tech. Johnson alleged that its work was negatively affected by poor construction by Pacific Tech, which purportedly failed to keep moisture from infiltrating the roof system. Johnson further said that Pacific Tech restricted access by Johnson supervisors. According to the Complaint, Pacific Tech terminated Johnson from the project on November 21st, 2012, though Pacific Tech said it was for convenience and not default on behalf of the plaintiff. The termination was in bad faith, said Johnson, and retaliatory and malicious in respect to Johnson’s advice to the manufacturer of the roofing material that it was being improperly installed. Johnson sought judgment against Johnson Roofing for not less than $844,596, which includes $400,000 for unpaid work performed by Johnson. Johnson further asked for a judgment that Westchester and co-defendant Federal were liable for at least $400,000 for Johnson’s bond claims.